Literacy: The ability to read and write. Preschool/reading readiness, Kindergarten – Elementary Level Literacy Connections- are essential elements in the Teacher on the Trail™ program and in 21st century learning. The Teacher on the Trail™ program recognizes the importance of literacy. Being able to read, write, and communicate are essential skills. These skills are at the foundation of learning in all other content areas. Early childhood literacy begins when children are very young and in preschool/kindergarten. The picture books, nursery rhymes, movement activities, and songs are foundation in the developmental process of learning to read and write. Iditarod and the Teacher on the Trail™ program help teachers meet the challenges of literacy and developing life-long readers and writers. 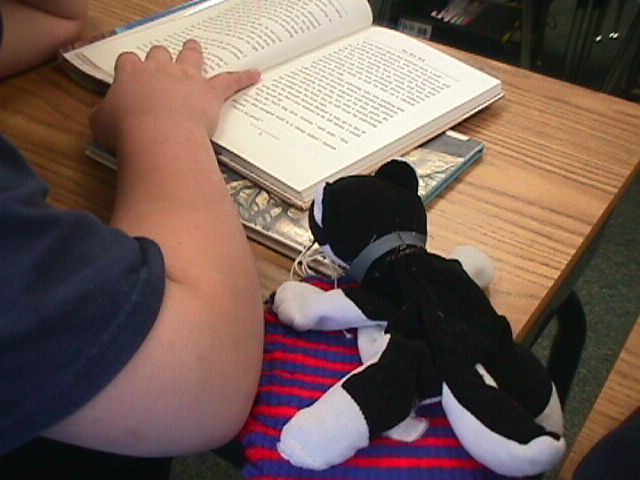 Zuma’s Paw Prints articles written in 3 reading levels – preschool/lower elementary, elementary, secondary/adult. Connections with Iditarod Mushers who inspire students to read and learn. * Thanks to Sally Javier for the IditaRead photos of mushers!